The Mercedes-Benz E-Class Coupe has one mission, to allow you to feel the joy of driving. With two turbos and four seats, this mission is possible and available to you. With no framework between windows, the E-Class Coupe allows the entire side of the cabin to be rolled down, giving a great feel of openness and allowing you to enjoy the views you’ll discover in your Mercedes-Benz. The E 400 features a 329 horsepower biturbo 3 liter V-6 engine, while a 402 horsepower 4.7 liter biturbo V-8 sits under the E 550’s hood. Using ECO start and stop, the engine actually shuts off at stoplights automatically, saving as much fuel as possible. These engines are quicker and cleaner, producing more than enough power for you, while only leaving behind a trickle of emissions. Living in Colorado, you need a car that can handle any weather. Optional on the E 400 is 4MATIC® all-wheel-drive, which uses the 4-wheel electronic traction system from Mercedes-Benz. Constantly sending torque where it is needed, 4MATIC® enhances handing in all conditions and gives you the confidence to get around safely. Using the Command system from Mercedes-Benz entertainment, navigation, and other conveniences are right at the tips of your fingers. A center controller is connected to the vivid seven inch display, which is capable of Bluetooth®* audio streaming, USB input, and a digital interface for all your entertainment purposes, all coming standard. 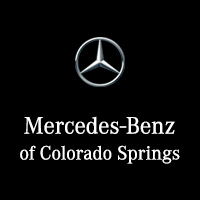 To experience the joy of driving in the best possible outlet visit Mercedes-Benz of Colorado Springs.